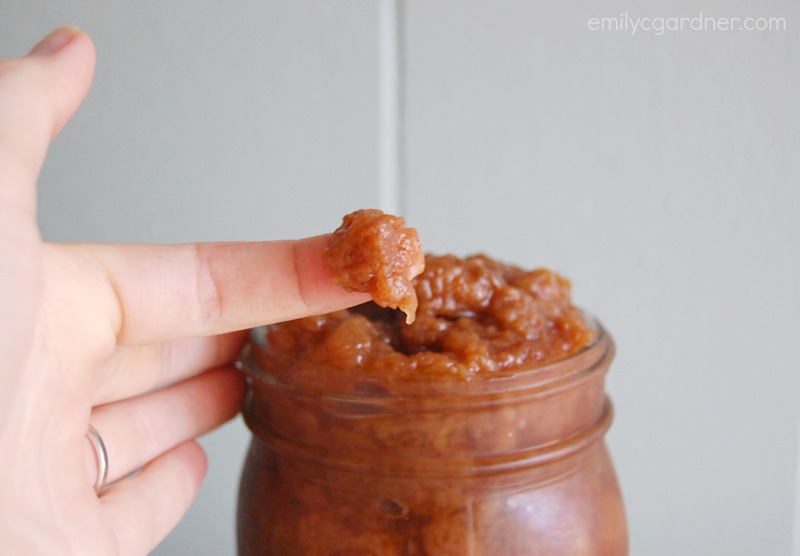 Homemade apple butter always seemed complicated until my mom discovered this crockpot method. Peel and chop enough apples to fill your crockpot. Cook on low for 8 hours. Add vanilla extract and brown sugar (or maple syrup for no-sugar peeps) and let it cook some more. The result is a thick apple spread with intense flavor. Four simple ingredients transform into an intensely flavorful condiment you’ll want to have all year around. 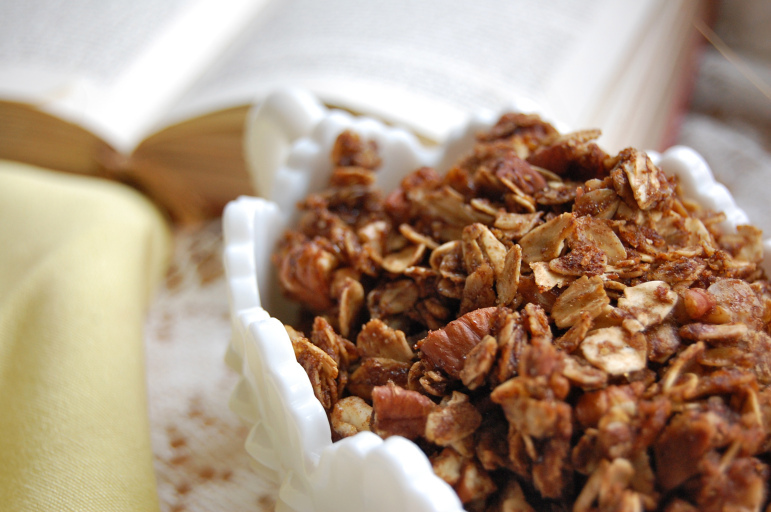 Use maple syrup or honey for a spread with no refined sugar. Chop each apple into 8 pieces. Fill your crockpot to the brim with apple pieces. My 6-quart crockpot holds 12ish medium apples. Turn crockpot on low and cook for 8 hours. I let mine cook overnight. When you wake up, give the apples (now brown) a stir. Add vanilla, cinnamon, and brown sugar. Mix to combine. Let the apple mixture cook, uncovered, in the crockpot until it has reduced to your desired thickness. Mine usually takes a couple more hours. Store in an airtight container in the fridge or can it for later consumption. In addition to November 1st, when Starbucks rolls out the red cups, one of my favorite events on the food calendar is when Trader Joe’s goes pumpkin. Pumpkin products crop up in every section of the store. Pumpkin Spice Cake. Pumpkin Spiced Coffee. Pumpkin Cream Cheese. Pumpkin Spiced Chai. Pumpkin Ice Cream. Pumpkin Bread Mix. Pumpkin Butter. Pumpkin Soup. 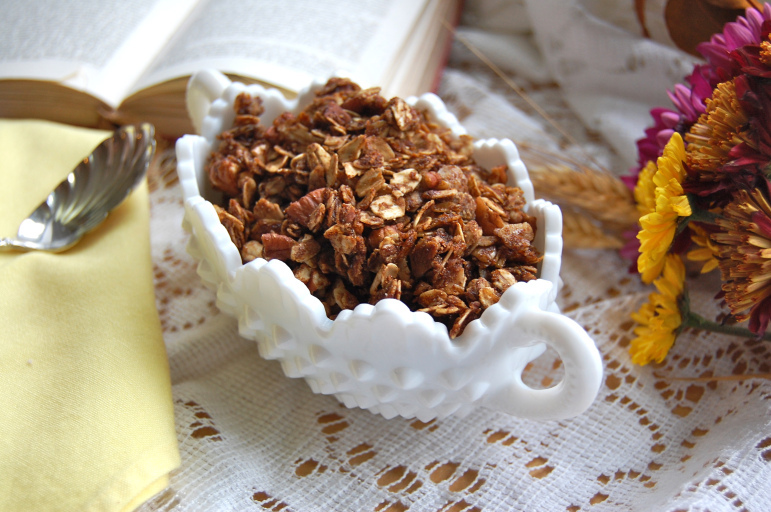 Pumpkin Spiced Granola. They even sell Pumpkin Tree Bunches. Trader Joe’s in October and November is truly pumpkin heaven. Plus, TJ’s keeps adding to their pumpkin arsenal. On my mom’s recommendation, I picked up a container of Pumpkin Greek Yogurt. Oh boy, is it good! 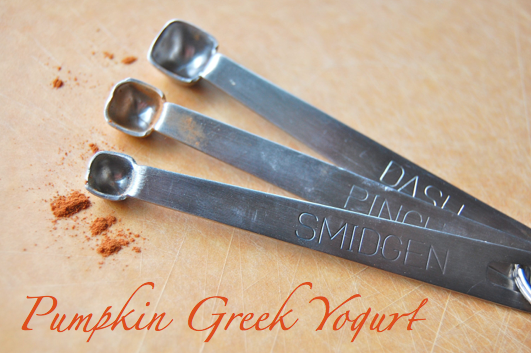 The texture is thick and creamy like you would expect out of a high quality greek yogurt and the pumpkin flavor is strong, with a perfect balance of autumnal spices. Since the nearest Trader Joe’s is 32 miles away, I wanted to replicate it at home. And I thought I could do it for less calories. Turned out to be an easy project. 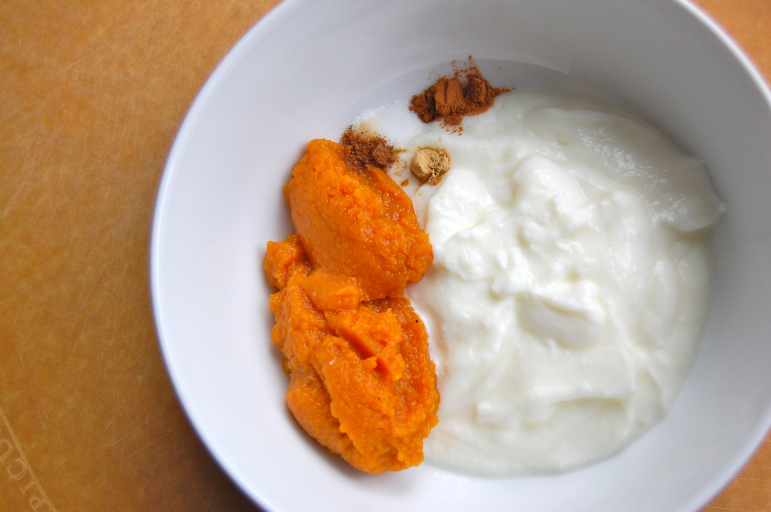 Simply mix your favorite greek yogurt with pumpkin puree, spices and sweetener of choice. The recipe reflects my choice to make individual servings, but the ingredients are easily multiplied to create a bigger batch. My absolute favorite greek yogurt is Chobani. I used 0% Vanilla Chobani, but you can use plain, or whatever brand or fat content you like. 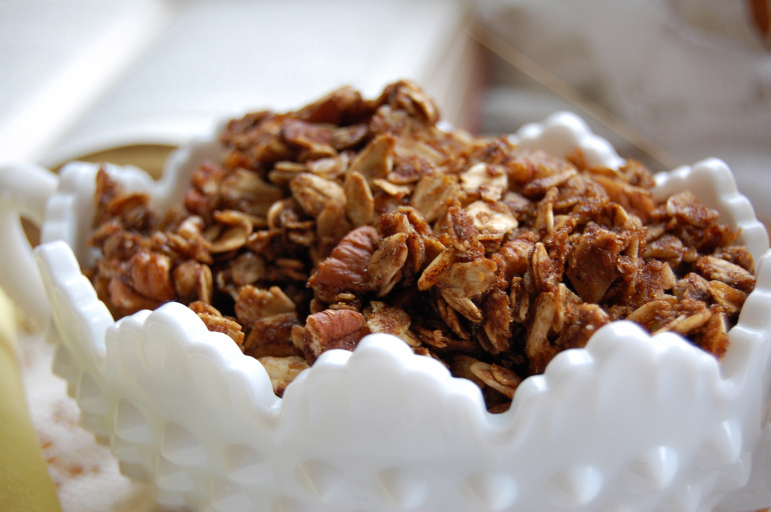 This yogurt is delicious by itself, as a vehicle for granola, and would be a delicious dip for gingersnaps or graham crackers. 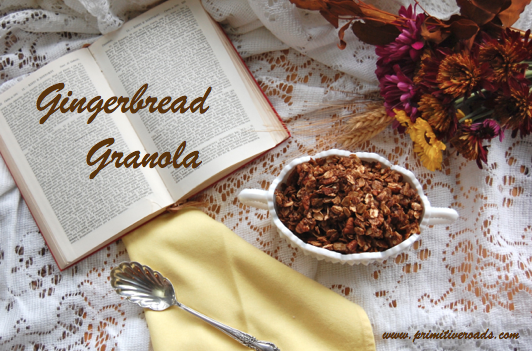 Try sprinkling it with Gingerbread Granola for the perfect Autumn breakfast or snack! The amounts listed are for an individual serving. Increase proportions to make a large batch. 150 calories per individual serving. 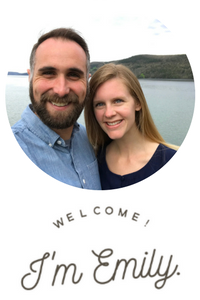 During our first week in Idaho, Tim and I received a welcome card from a church family which included a coupon for “Purple Gold”. A note on the back clued us in that Purple Gold was a code name for huckleberries. Huckleberries are small berries with a beautiful, deep purple hue and just so happen to be the state fruit of Idaho. They grow wild all around our new home. Animals and people alike enjoy them and the little berries are worth a pretty penny when sold at retail value, hence the nickname Purple Gold. We received our Purple Gold last week. On the list of ideas for ways to use them that was kindly included with our berries was adding a cup to zucchini bread. I adore zucchini bread, with its moist crumb and mild flavor, so I didn’t waste time putting a batch together. The huckleberries were the perfect sweet-tart addition to the autumn flavors of cinnamon and brown sugar. Green flecks from the zucchini and bursts of blue and purple from the berries make each slice a beautiful kaleidoscope of colors. I adapted a zucchini bread recipe from the consistently delicious cookbook, Just A Matter of Thyme by Roxie Kelley, to make this rendition. This bread is moist and makes great toast. It also freezes beautifully. If you don’t have access to huckleberries, substitute 1 cup of chopped, toasted nuts, or blueberries. Preheat oven to 350° F. Lightly grease two 9-inch loaf pans. In a large mixing bowl, beat eggs well. Add oil, sugar, and zucchini. Mix thoroughly. Whisk together flour, salt, baking soda, and cinnamon in a separate bowl. Pour into prepared loaf pans . Bake for 1 hour. Remove from pans to cool. Living right across the street from a state-of-the-art gym has increased my workout regularity, so, I’ve been on the lookout for good “recovery” foods. Normally my recovery habits include chocolate and bread. My much more workout savvy husband finally convinced me those weren’t the best foods to replenish the nutrients I loose running and such. Foiled. He suggested an electrolyte drink like Accelerade (gag!) and/or starchy fruit. I’m not normally a pureed banana fan. In fact, it’s only been in the last few years that I would classify myself as a banana fan at all. Something about a malleable, potentially mushy, substance was always off-putting to me. (What’s with me and my weird food texture aversions? Refer to carrot confession…) With the help of copious amounts of peanut butter, I began to build a tolerance, then a liking, for the ubiquitous yellow fruit. 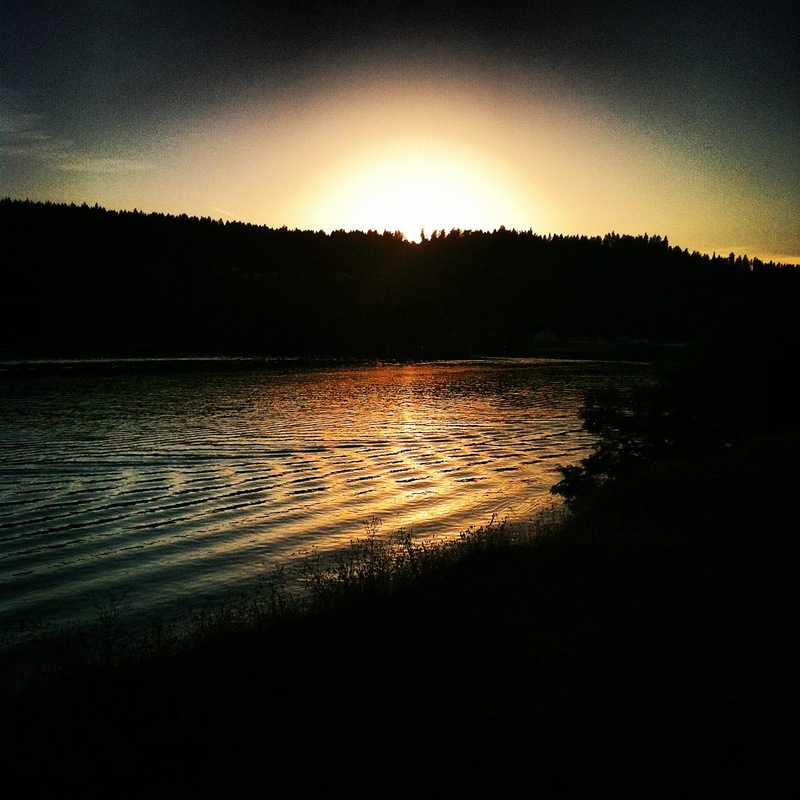 My jogging scenery: sun setting behind the Spokane River along the Centennial Trail. After my 4+ mile jog along the Centennial Trail yesterday evening, I broke out the Cuisinart and downed the results. Three ingredients and a minute of prep yielded a frothy, stick to the side of the cup concoction that I would be happy to recover with anytime. It tastes like a banana cream pie in smoothie form. All for 250 calories. Score! Peel banana and place in blender or food processor. Add almond milk and shake mix. Blend until smooth. Pour into glass (chilled would be lovely) and enjoy! Adding a tablespoon of peanut butter to this smoothie would be utterly delicious. 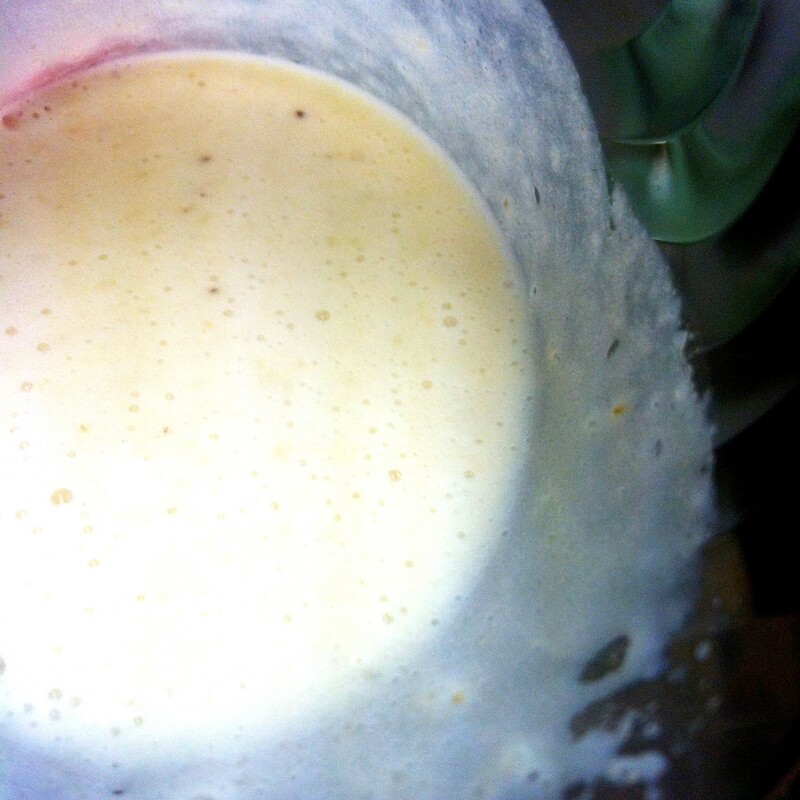 Regular peanut butter would make the smoothie 345 calories, Better N’ Peanut Butter would make it 300.